Parker's Clothing & Tuxedo Rental | Shopping in Blue Ridge GA and Murphy NC for men's clothing, tuxedo rental, scrubs & shoes, and gifts. 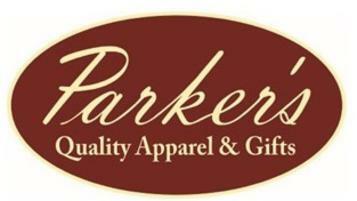 Parker's Clothing & Gift Shop can satisfy your desire for shopping in Blue Ridge, GA and Murphy, NC. We have the latest in quality men's dress and casual clothing. We are an Elite Retailer for Jim's Formal Wear, providing tuxedo rental for weddings, prom or any special event. Our gift shop is stocked with unique gifts for all occasions including Tervis Tumblers and accessories. We are adding Made in USA items to our collection. Quality Blue Ridge souvenirs now available! We carry a great selection of scrubs from Cherokee, Dickies, Med Couture, Peaches, Koi, and more. We carry a large selection of Alegria shoes with over 50 choices. Alegria shoes have free shipping. Shopping for someone else but not sure what to give them? Give them the gift of choice with a Parker's Gift Card. We are small enough to know you by name, but big enough to purchase from major lines. Our goal is to provide excellent customer service coupled with down home southern hospitality. The way you remember!